Using the ceremonial Constitution, Dr. Ashurbeyli conducted the oath ceremony. 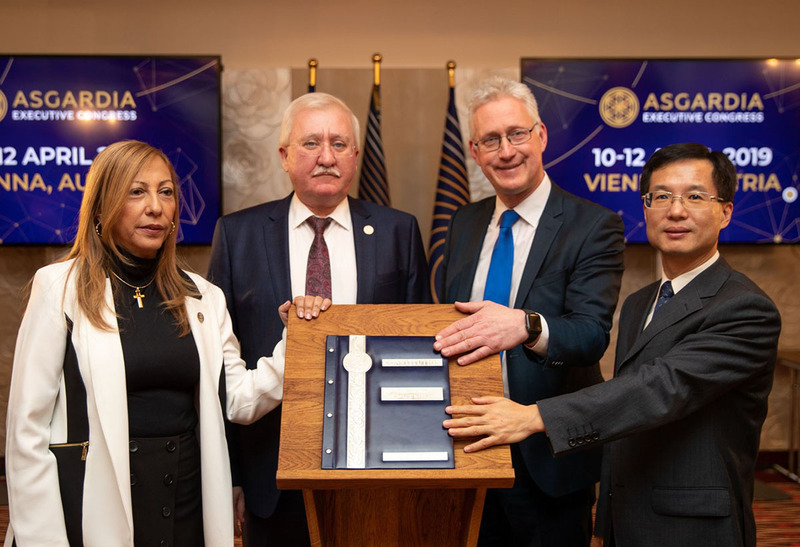 “I urge all of you, as responsible officials of Asgardia, to take the oath today, on this historic Constitution,” he said. The Head of Nation then stated that the oath has been taken. Opik and Diaz handed out ID cards, certificates and badges to the Cabinet members and Parliamentary Committee Chairs.